The Constitution Bench comprising Justice A.R. Dave, Justice P.C. Ghose, Justice S.K. Singh, Justice A.K. Goel and Justice Amitava Roy observed that “an effort has been made to see that execution of a decree of this Court is being made inexcutable.” Saying that it cannot be “a silent spectator of the said fact,” the Court appointed Union Home Secretary and Punjab’s Chief Secretary and Director-General of Police (DGP) as the ‘joint receiver’ of land and other property meant for the Canal till the next date of hearing on March 31, 2016. The urgent application filed by the State of Haryana reportedly brought to the notice of the Court the Bill passed by Punjab Assembly on March 14. The Punjab Satluj Yamuna Link Canal (Rehabilitation and Re-vesting of Proprietary Rights) Bill, 2016, which is awaiting the Governor’s assent, it stated, would undo the effect of the Supreme Court’s 2014 verdict, calling for unhindered construction of the canal which will provide share of its water to Haryana. 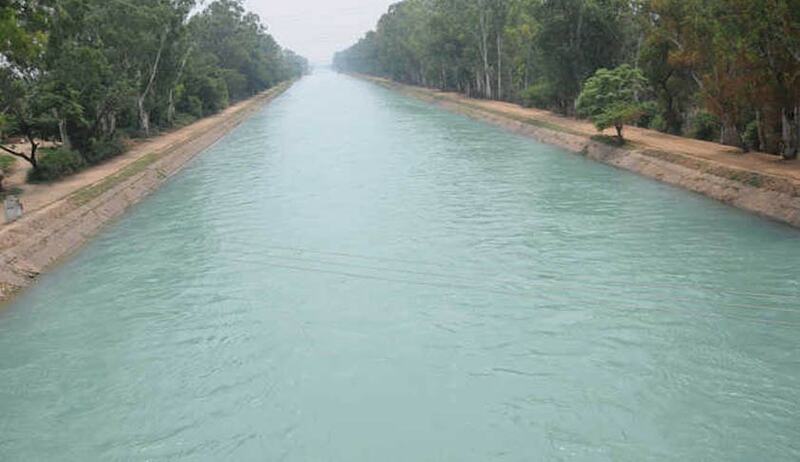 Citing news reports, it was also submitted that the MPs and MLAs of Punjab were already encouraging farmers to damage the canal and prepare it for cultivation. This would have rendered another judgment of the Court meaningless. The contentions were opposed by Senior Advocates Ram Jethmalani and Rajeev Dhawan, representing Punjab. They submitted that the Supreme Court only held advisory jurisdiction and that it cannot pass the interim order demanded as there was no prima facie case made out. Mr. Jethmalani and Mr. Dhawan’s submissions were supported by the Centre, through Solicitor General Ranjit Kumar. These submissions however did not find favor with the Bench. The case pertains to a special reference under Article 143 of the Constitution of India, made in the year 2004, regarding the Punjab Termination of Agreements Act, 2004 passed during the tenure of the then Chief Minister, Capt. Amarinder Singh. The Act had jeopardized the construction of the Satluj-Yamuna Link canal, by terminating all water sharing agreements with the neighboring States.